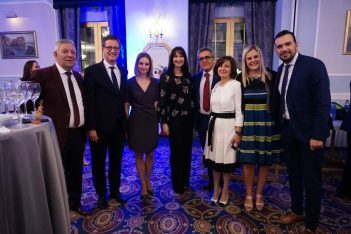 The Grand Hotel Palace in Thessaloniki on Tuesday night was the host venue for a welcome reception ahead of the 8th UNWTO International Meeting on Silk Road Tourism to take place in the Greek northern city during October 10-12. 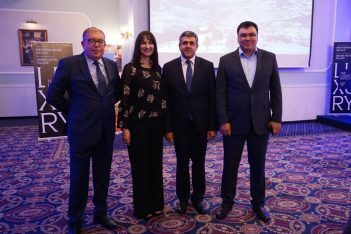 Greece is the first European country to host the UNWTO International Meeting on Silk Road Tourism, a collaborative initiative designed to enhance sustainable tourism development along the historic Silk Road route. 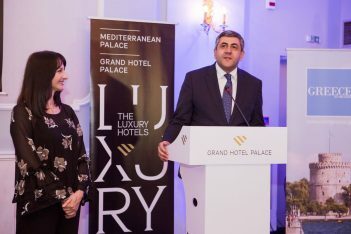 ‘The Luxury Hotels’ Managing Director Domi Dedeoglou and Grand Hotel Palace General Manager Panagiotis Zelelidis and hotel executives welcomed tourism ministers and heads of national tourism administrations from the Silk Road member states, as well as tourism experts from the private sector. The delegates arrived in Thessaloniki to explore the leading role of the Silk Road in tourism and its opportunities. 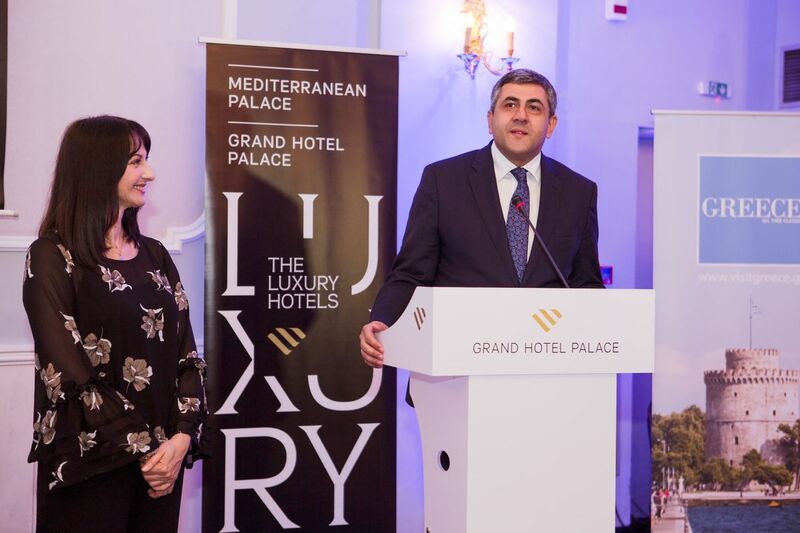 In his welcoming speech, UNWTO Secretary General Zurab Pololikashvili referred to Greece as a “showcase” regarding its progress in the tourism industry over the last few years. 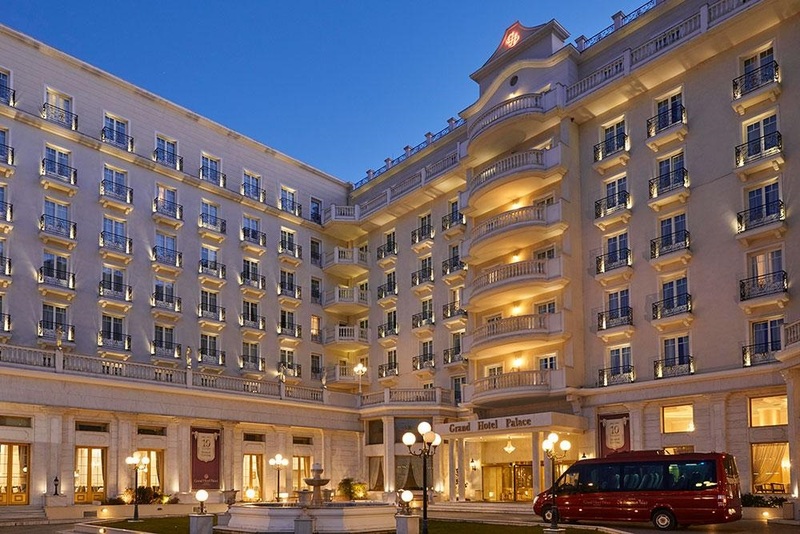 The two-day event will be held at the Thessaloniki Concert Hall and the Grand Hotel Palace with a rich program including a ministerial roundtable and specialized sessions focused on assessing the role and relevance of the historic Silk Road routes within a globalized setting. 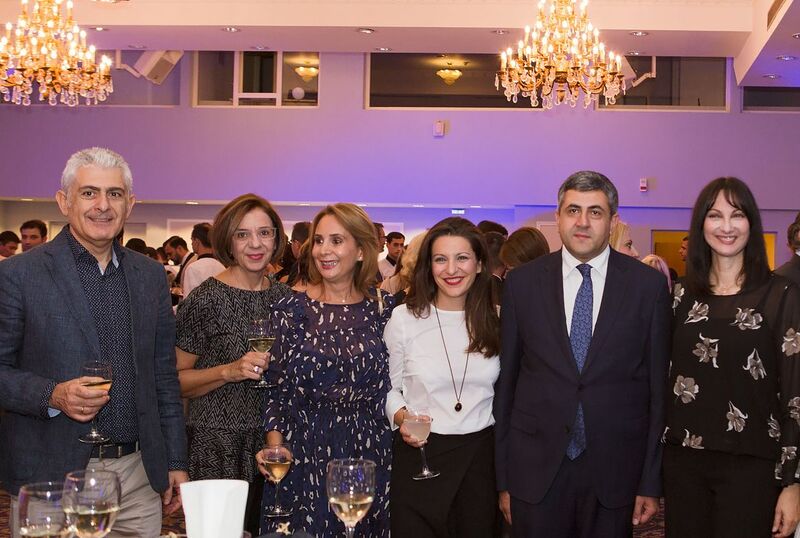 “It is a great honor that the UNWTO chose Greece as the first European country to hold its 8th high level international meeting on Silk Road Tourism,” Greek Tourism Minister Elena Kountoura said during the event. 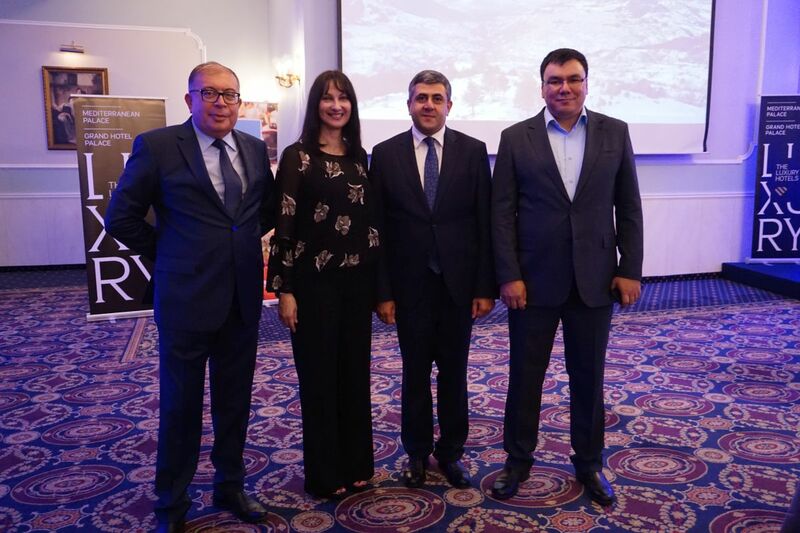 The international meeting will highlight the benefits of interregional cooperation and dialogue and will focus on the creation of new tourism products, transnational marketing strategies and tourism management tools. 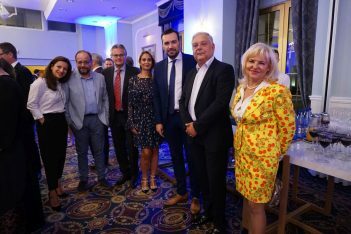 The meeting, which is expected to be a landmark event for the Region of Central Macedonia, is also considered an excellent opportunity for Thessaloniki to gain publicity for its tourism and MICE offerings. The Grand Hotel Palace is part of The Luxury Hotels brand that also includes the Mediterranean Palace. 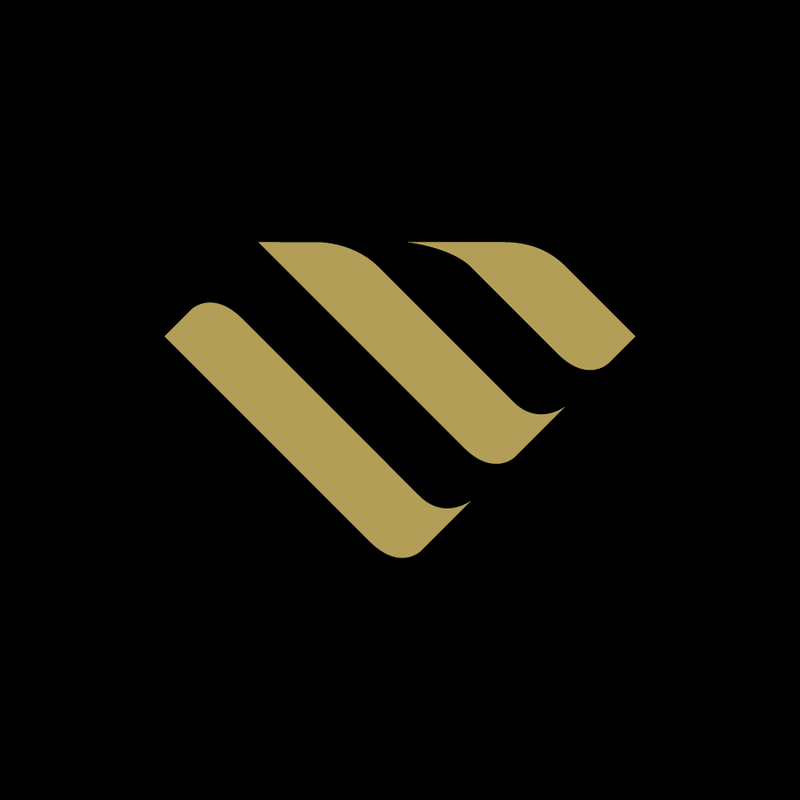 Owned by the Dedeoglou family, the two five-star units include a total of 384 rooms, 20 conference rooms, two underground and two outdoor parking areas.